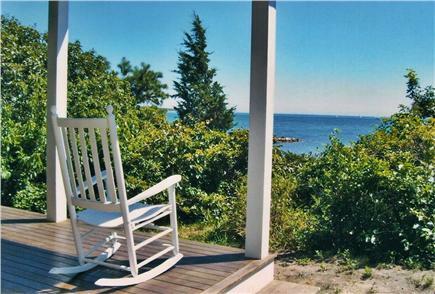 Enjoy the peacefulness and privacy of this truly charming property on old Lighthouse Lane. 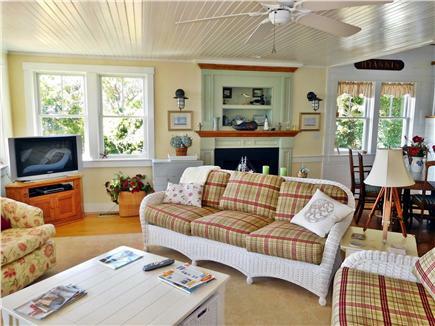 Situated in a desirable secluded setting surrounded by natural beauty, this tastefully designed and decorated 3-bedroom main house with optional 4th bedroom guest quarters was newly rebuilt in 2005. Inside and out it retains much the same character of the circa 1908 cottage it replaces, but with all the updates and amenities of a custom year 'round home. 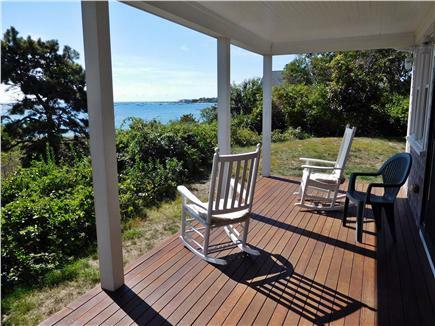 From both the wrap-around porch and the 2nd floor balcony, the views of Hyannisport harbor to the west and Lewis Bay to the east are unmatched on Cape Cod. 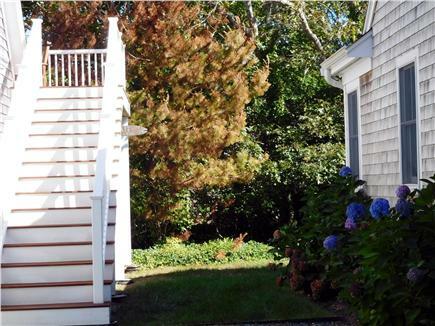 Immediate access to the beach from our new staircase will complete your perfect Cape Cod vacation. 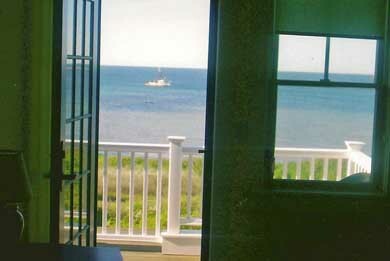 In 2007, Cape Cod Magazine selected Lighthouse Lane as ONE of the 18 BEST ACCOMMODATIONS on Cape Cod.If you are looking for that special waterfront property that combines old Cape Cod charm and tradition with just the right amount of modern coastal living, your ship has arrived at Lighthouse Lane. 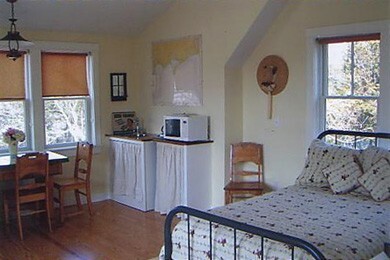 The carriage house is included with our main house at summer rate of $5,500.00 per week and $4,500,$4,000 off season. The carriage house is not available as a separate rental. Recommended for travelers who will appreciate a higher standard in rental property that has been established and carefully maintained by the owners. This property is most comfortable with a maximum occupancy of EIGHT people. 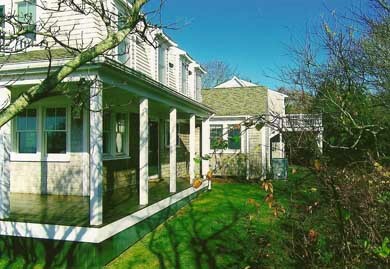 Additional pricing info: Carriage House not rented separately. State and local taxes of 14.45% will apply. 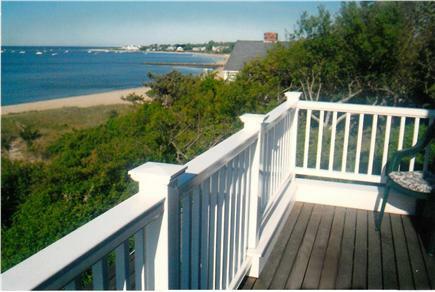 Bob & Syl Rabazzi, Clifton Park N.Y.
Beautiful home overlooking the beach and Hyannisport Harbor . 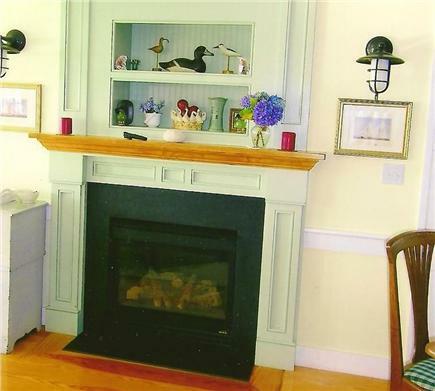 This home has a wonderful Cape Cod feel and is tastefully decorated. 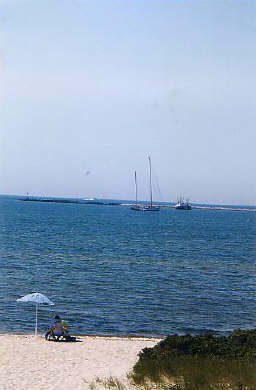 The location is very private but not far from all the Cape activities. The home is extremely clean and well maintained. The owner supplies everything that you would need. Kelly is a pleasure to talk to and correspond with. She helped make our vacation perfect. We look forward to returning next year. You won't be sorry if you choose this home for your vacation. Absolutely love this place. This is a comfortable place with awesome views. It is full of light even on a gray day in January. We enjoy preparing meals and the kitchen is fully equipped and easy to work in. 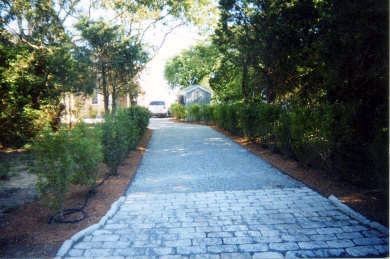 It is close enough to the center of Hyannis that we often walk. Waking up in the morning and seeing the water is wonderful. 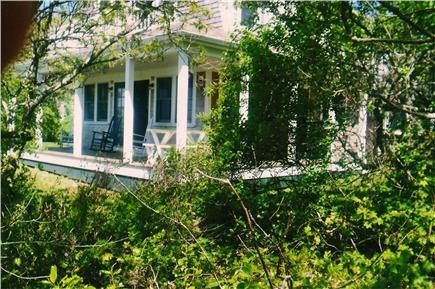 I visit the Cape at least twice a year and this is my favorite place to stay. It's quiet, yet accessible. 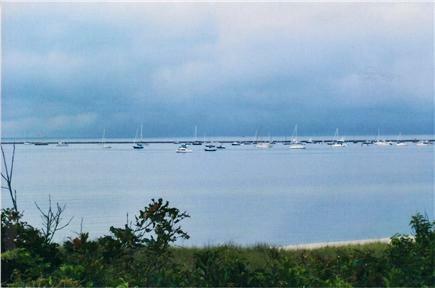 The view is awesome, watching the ferries coming and going out of Hyannis. It's a 30 second walk to the beach. It's an easy drive to anywhere on the Cape. The house itself is open and full of light. 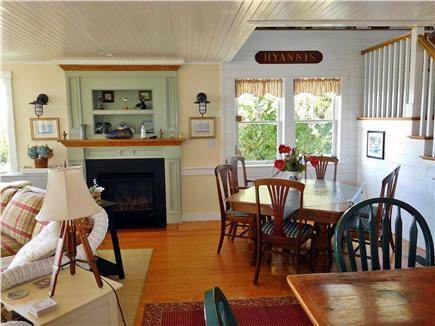 It is well maintained and has everything you need for your time on the Cape. 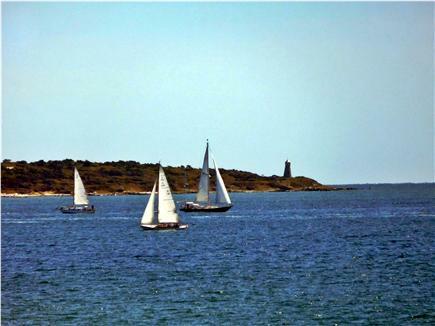 It is definitely a future destination for one of my trips to Old Cape Cod. 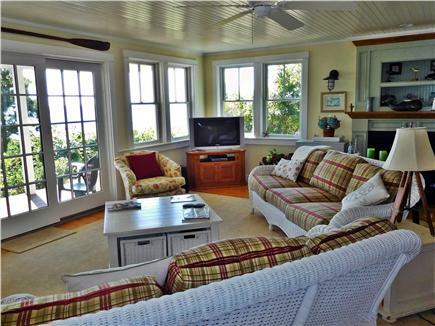 This home is so beautiful and perfectly situated for a wonderful beach vacation. 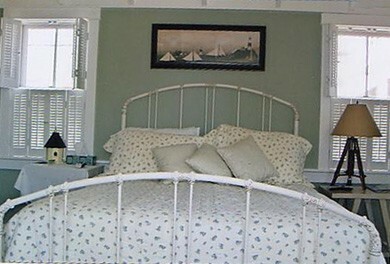 The house is very tastefully decorated and has a very serene, Cape Cod feel. 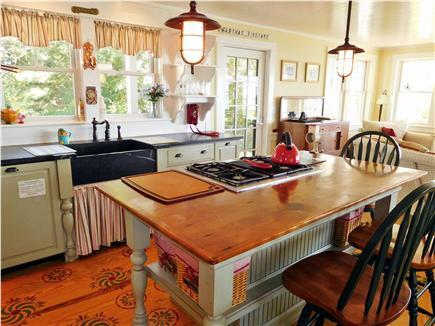 The kitchen is well appointed and you won't lack anything if you like cooking. 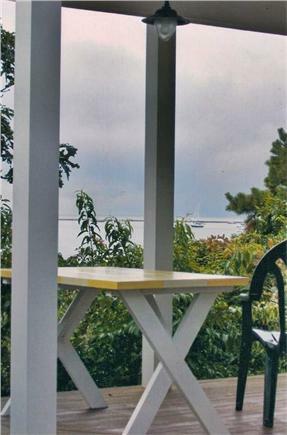 A short walk down the steps to the beach and a lovely porch to sit on and watch the ocean from. Exquisite home! Perfect Views! Perfect Location! We love this place! The interior is decorated tastefully with interesting details placed throughout and super clean. Everything works as it should. The kitchen and fridge are full size and stocked well (gas 4 burner cook top + convection oven = family meals as good as home). You can spend a day inside just listening to the relaxing waves and birds, just enjoying the amazing view of the ocean. Our kids love running down to the beach (a 60-second walk) and we love that there is an outside shower to clean then up :) Showers throw water like a water fall (luxury). THANKS FOR THE IMPECCABLY DECORATED BEACH HOUSE, GORGEOUS VIEWS AND A WONDERFUL WEEK WITH OUR BOYS...AND ROOM FOR OUR GRANDPARENTS IN THE CARRIAGE HOUSE TOO. THANK YOU FOR THE BEAUTIFUL HOME AND THE WONDERFUL WEEK . 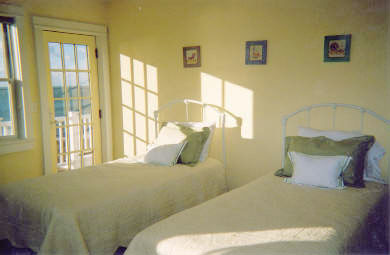 WE STAYED IN THE CARRIAGE HOUSE WHICH WAS PERFECT FOR US...THE BEACH, THE SUN. THE VIEW...ALL WIIL BE A PART OF OUR MEMORIES OF A BEAUTIFUL VACATION WITH OUR FAMILY. THIS WAS OUR SECOND TIME HERE AND ONCE AGAIN IT WAS A GREAT EXPERIENCE. THE WATER IN THE OCEANS WAS SURPRISINGLY VERY WARM AND WE ALL LOVED IT. AND LAST THE HOUSE WAS THE BEST HOUSE WE'VE HAD IN THE WHOLE TIME GOING TO THE CAPE ..THANK YOU FOR HAVING US.